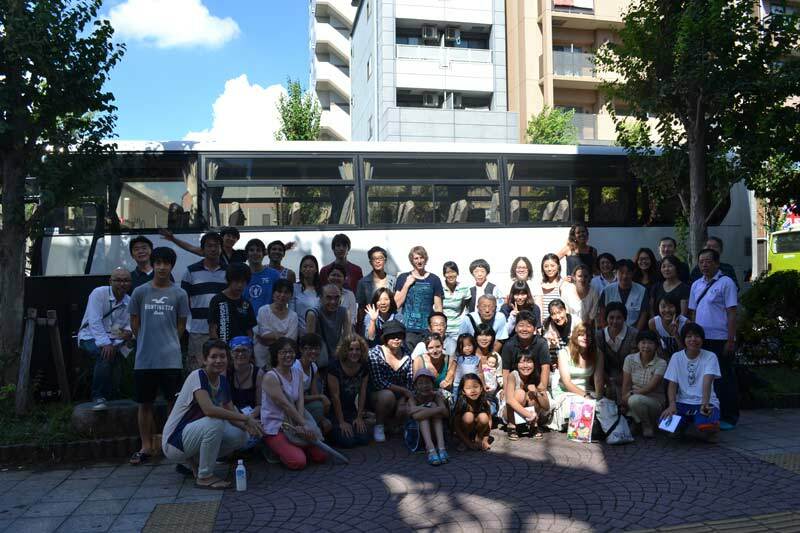 The ten-day-long program finished so quickly in Abiko. Today our Toyota program starts. After say good-bye to the tough Abiko people, we were driven by bus for 7.5 hours, and then we arrived at Toyota, Aichi prefecture. After the greetings by the LOC and Hiro-san, the matching started. However, this city’s matching was carried out by a game. Everyone took off their name tags, and we started the game without introducing ourselves. 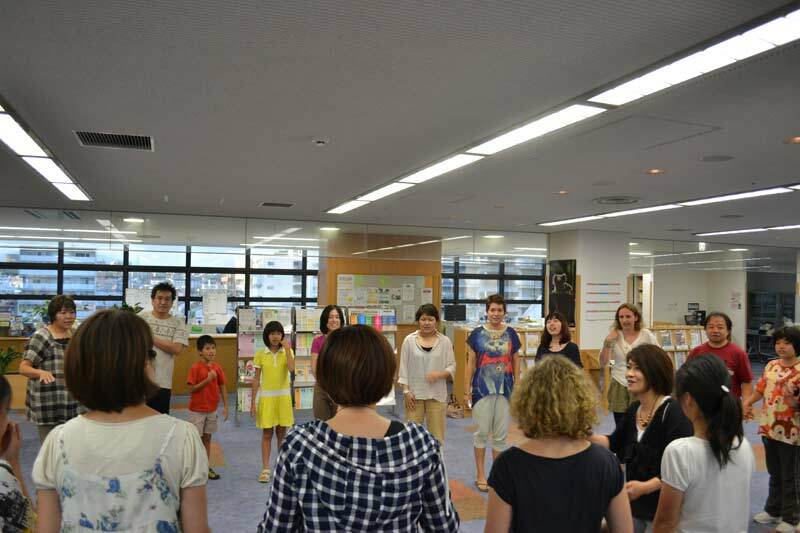 The first game was a “Leader Jyan-ken” – Rock, paper, scissors. Of course, the normal version isn’t fun enough, so each movement was some feature connected to Toyota City and the surrounding cities. The movements were “car”, “maple leaf”, “canoe” and “peach”. We were taught those movements, and if the movement we did was the same as the leader – the person in the middle of the circle – did, the person was out of the game, and the final person left was the winner. Next game was “数合わせゲーム”. We danced to music, and after that a person called a number from 1 to 10 in that person’s language. We made a small circle according to the called number, and if in the group there was a host family and the person they were going to host, happily the matching was a success. The host families already had some information, so to check if they had found their person, they asked us some questions. Some people meet quickly, however was I one of the last four people. Then a host family called some information, and I could finally meet them. The five days we’re going to spend in this city is too short, but I hope we can enjoy every single day as good conclusion to World Campus International 2012.